US Sec. of State Pompeo visits Yad Vashem holds meeting with Pres. Rivlin. 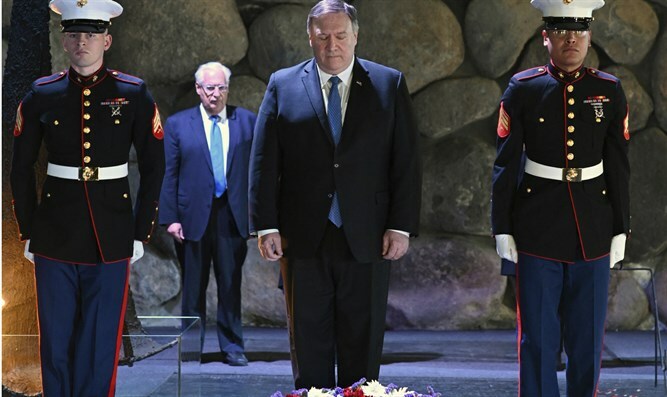 US Secretary of State Michael Pompeo and his wife Susan on Tuesday visited Yad Vashem World Holocaust Remembrance Center in Jerusalem, where the Secretary of State laid a wreath in the Hall of Remembrance and signed the guest book. 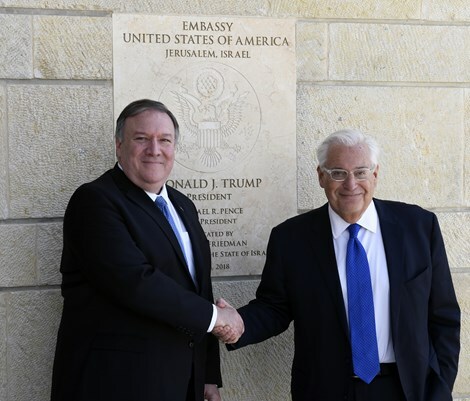 He also visited the US Embassy in Jerusalem's Arnona neighborhood, accompanied by Ambassador David Friedman, and held a working meeting with Israeli President Reuven Rivlin. 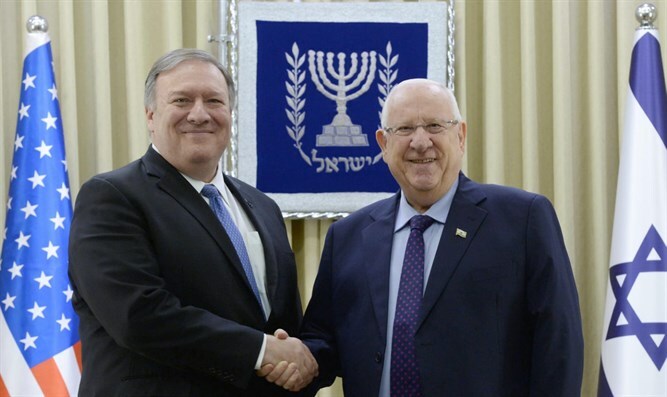 Rivlin also asked Pompeo to send his warmest regards to US President Donald Trump and thanked him on behalf of the State of Israel for the important step of opening the American Embassy in Jerusalem.